WHEN WE left the Montenegrin Serb royal impersonator Stefano Zannowich yesterday here, it was 1773 and he had just composed Pigmalione. Stefano Zannowich, 1751–1786, Montenegrin Serb writer, royal impersonator, adventurer. 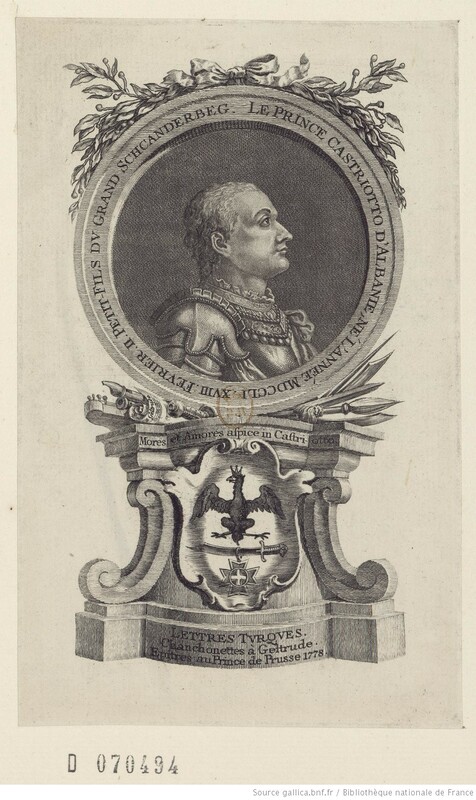 Identified here as Prince Castriotto d’Albanie, one of Stefano Zannowich’s many noms de vie. This image from 1778 bears a remarkable resemblance, albeit mirrored, to an earlier portrait sold by Vienna’s Christoph Torricella. Let’s not credit Zannowich with inspiring the 1956 Broadway musical My Fair Lady, actually based on George Bernard Shaw’s 1913 Pygmalion, which in turn is based on Greek mythology. 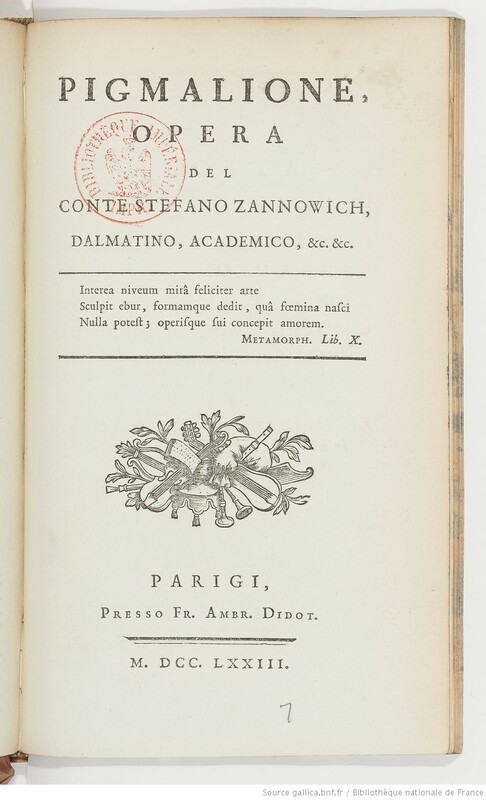 Indeed, there’s yet another Pigmalion, a 1748 opera-ballet by Jean-Philippe Rameau, not to be confused with Zannowich’s effort 25 years later. 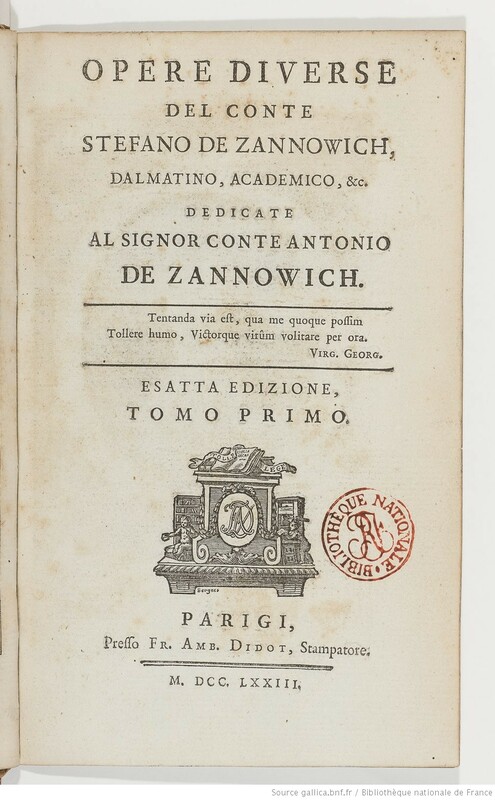 Zannowich’s Pigmalione carries authorship of “Count” Stefano de Zannowich, “Dalmation, Academic, &c. &c.” Not afraid of passing around titles, Zannowich dedicated another of his works, Opere Diverse, Diverse Works, to Count Antonio de Zannowich. The latter was his father Antun, of the Paštrovići clan, one of the two major maritime tribes of the Montenegrin Littoral dating back to the 12th century. So maybe this Count jazz isn’t completely phony. Which explains why one is the Great and the other merely II. 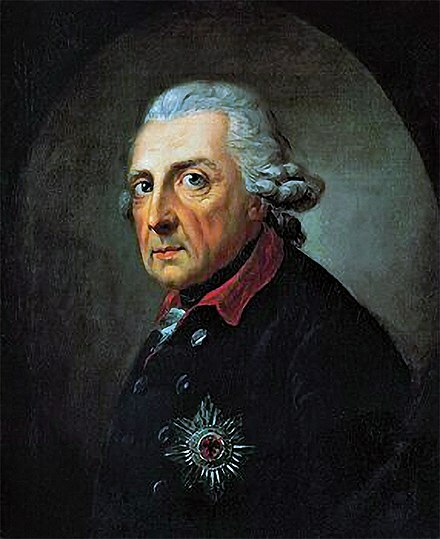 Above, Frederick the Great, 1712–1786, King of Prussia, the longest reigning Hohenzollern, 1740–1786. 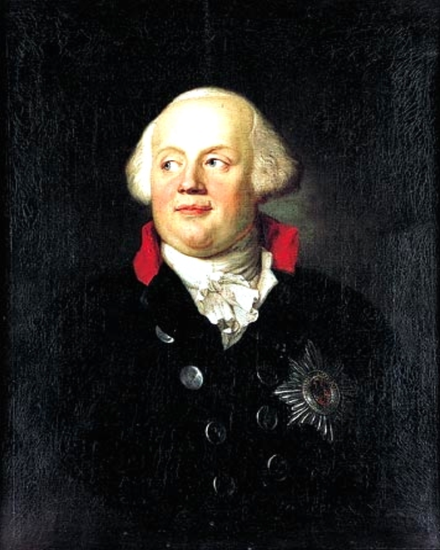 Below, Frederick William II, 1744–1797, King of Prussia, reigning 1786–1797, considered to be the antithesis of his uncle. Indeed, all good things pass eventually and Zannowich moved on. He was well received in Zweibrücken in 1778, until Berlin rumors caught up with him. Zannowich resided in Alsace and Lorraine under various names, then traveled to Rome where he met a kindred spirit and real piece of work, Elizabeth Chudleigh aka the Duchess of Kingston. The Duchess was 57; Zannowich was 27. 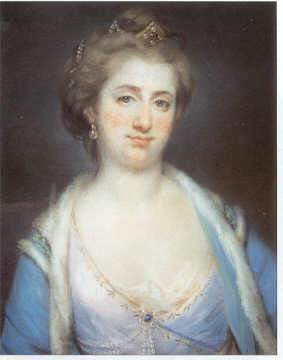 Elizabeth Chudleigh, 1721–1788, Duchess of Kingston, aka Countess of Bristol aka Mrs. Augustus Hervey aka Mrs. Evelyn Pierrepointe, English courtier and adventuress. The pair resided for a while with the St. Petersburg court of Catherine the Great. Catherine had encouraged the assassination of her husband, the real Tsar Peter III, so you’d guess she, Stef and Liz would have lots to chat about. In time, though, Zannowich moved on to Amsterdam and Antwerpen, where he became pals with Charles-Joseph, 7th Prince of Ligne. The Prince, the Duchess, and Zannowich evidently shared this last belief. However, before long, Stefano was back working solo, using a fake promissory note from the Duchess of Kingston to scam 5764 Dutch guilders from a Frankfurt bank in 1784. Then, on August 11 of that year, he showed up at Bavaria’s Frauenbrünni monastery in the person of an exiled prince seeking sanctuary and peace. Wikipedia sources note, “During his time in Frauenbrünni, he rarely left his room and often made overgenerous contributions to the poor locals.” Nevertheless, Zannowich also found the time to persuade wealthy Munich, Regensburg, and Augsburg merchants to cut Dutch market deals, and he ended up in an Amsterdam jail. There, on May 25, 1786, Stefano Zannowich took his own life at age 35. 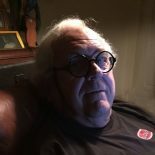 This entry was posted on October 23, 2017 by simanaitissays in And Furthermore... and tagged Catherine the Great, Count Stefano de Zannowich, Duchess of Kingston, Elizabeth Chudleigh, Frederick the Great, Frederick William II, Prince Castriotto d'Albanie, Tsar Peter III.